I sit on a bus heading back to New York City from my former college Dartmouth, feeling the sunlight on my cheek, attempting to write, but my pen hovers above the page. I have so many little things to say, but I want to say something huge, something important, and I can't see the value in anything I have to contribute. I feel paralyzed, weak. The night before I had witnessed a glorious Ira Glass, who had won many awards for his NPR program This American Life and had come to Dartmouth College to talk about the purpose of radio, the power of the human voice and what it means to be human. I wanted to be that man. I was both inspired and put to shame by him, seeing what he had accomplished and had become. His appearance was not impressive: he was a groomed, nerdy-looking man in his thirties, with a somewhat feminine voice and thick-rimmed black glasses invoking images of the old days of radio. An old wooden desk and chair was his sole onstage prop, and there was no visual presentation: he simply spoke, occassionally playing taped interview excerpts or background music. It was a breathtaking performance. The man had stories to tell. Stories about people you never knew that pulled you in and didn't let go. He had talked to and recorded thousands of people and had learned how to extract and present them in a way that made it both moving and relevant to his listeners. 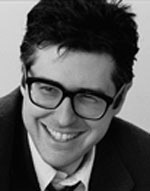 In this way Ira Glass had earned both critical acclaim and a devoted following for excellence in his field. But it was more than storytelling: he had a vision. Something to say. Something huge. The secret to our humanity, he felt, is in our ability to feel empathy for others, and hence our ability to universalize human experience. Small events in our lives can take on larger meanings when amplified and given resolution by the medium of sound, and we can find purpose in life by realizing how interconnected our lives are. By learning to feel what others feel, we can realize our humanity and make our world a better place. Essentially, Ira Glass had a vision of human salvation, and that, more than anything, was what drew a packed house that night. This young journalist built a grand vision off the most microscopic of building blocks: the momentary experience of a single human being. I began to realize that this building block must have been where he had started, long before anyone knew who he was. There must have been years of struggle and confusion before his voice became so assured, years of interviewing and recording and trying to fit it all together, and failing. He must have started out with something small and it built inside him over time until he could not keep it to himself. At that moment, I realized that I didn't want to be Ira Glass. I am him. Many years back, without the grand vision or knowledge, just a confused kid with a few small things to say that wished he had something bigger. And suddenly I have something to write about. I will write about Ira Glass, and I will write about seeing myself through him. Later I will write about things equally small and insignificant. And some day all these small things will add up to something big that I cannot contain, something big enough for me to see.